I was alerted to Reclaim The Power by an old friend. I’ve been a political and trade union activist most of my adult life (on and off). I’ve worked all my life in the oilfields – mostly the North Sea (UK and Norway) I’ve pretty much always been a member of a trade union, sometimes against my better judgement. On good authority I’m assured that there is no general gas shortage and that gas prices are low at the moment. So it was difficult for me to make sense of a report in the Financial Times, attributed to Rob Hastings, director of energy and infrastructure at the Crown Estate, to the effect that “Britain came within six hours of running out of natural gas in March” of this year. 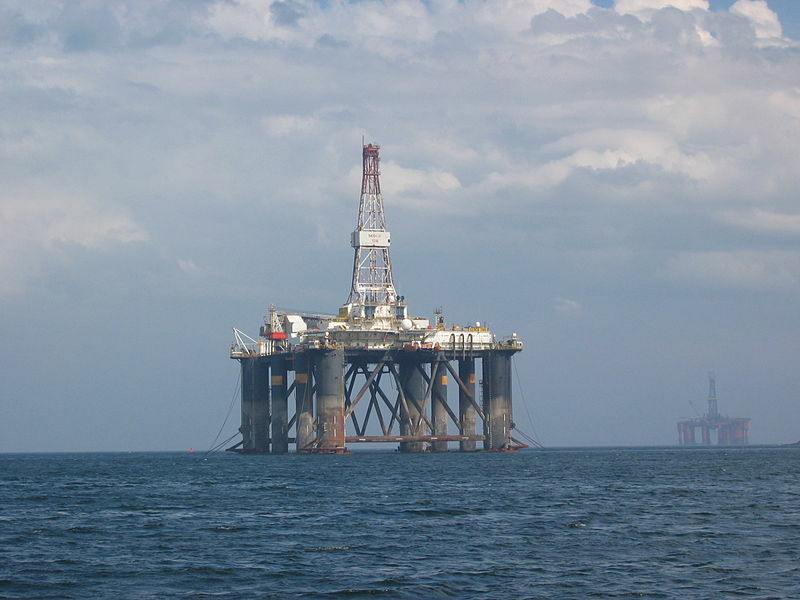 Why that allegation caught my eye was because it was in March this year that the Elgin gas production platform on the North Sea, operated by oil company Total, resumed production after getting the green light from the Offshore Division of the HSE. Gas production from the Elgin Platform had been closed down for a year after one of the wells, the G4, was allowed to blow out. Sparse as the facts in the public domain are about Elgin, some are incontrovertible. On March 25th the previous year (2012) Total allowed gas to blow out into the atmosphere from the G4 well via the wellhead platform. In the next 4 hours, 219 of the 238 workers were evacuated by helicopter. The rest were evacuated later that day leaving the installations completely unmanned. During these first 4 hours, by Total’s estimate (not an over-estimate I guess), 340,000 cubic meters of highly inflammable gas had spewed out onto the platform where a naked flame had been left burning in the flare stack. My own flatmate watched from the Shell installation, Shearwater, four miles away as the Elgin and Rowan Viking appeared from and disappeared inside a cloud of gas again and again. Shell were so alarmed by events that he, along with all other “non-essential” personnel on the Shearwater and Hans Duel installations, was then evacuated to shore, and a three mile air exclusion zone put in place round Elgin. Only the wind direction mitigated against the gas and flame combining to give us a disaster that might well have rivaled Piper Alpha [the rig that exploded on 6 July 1988, causing the death of 167 workers]. A myriad of other potential ignition sources must have existed on the Elgin field installations before the power was cut. The flame in the flare stayed lit for another five days, as gas continued to blow out. In the immediate aftermath of the Elgin blowout Jake Molloy, the RMT union’s full time official with responsibility for the oil and gas industry, was widely quoted in the media, describing the event in the most uncompromising terms. “This is an unprecedented situation.” “If the gas cloud somehow finds an ignition source, we could be looking at complete destruction.” “The last time we had the potential for a fueled fire like this was Piper Alpha or Ocean Odyssey in 1988”. “The potential remained for catastrophic devastation”. None of his remarks were ever challenged publicly by Total or anyone else. And they’re certainly not challenged in my mind by anything I’ve read about the “incident”. At “Piper25”, the conference commemorating the 25th anniverary of the Piper Alpha disaster in Aberdeen in June, only Jake Molloy came close to dealing with the near catastrophe when he “lectured” the delegates that “disaster had come closer than some of (them) could imagine”. “Luck – luck was the only thing that saved us.” He could only have been referring to Elgin. Neither Lord Cullen, Judith Hackitt (HSE chief), nor the conference chairman Malcolm Webb (the oil companies’ spokesman), once mentioned the Elgin blowout. A day after the blowout, Total went on a PR offensive. “Gas leak” was the code word used by them to describe the near catastrophe. It’s a term that, used in this context, is a thousandth of an inch away from being a lie, and which is one hundred percent disinformation, and was parroted in the media ad nauseum, in order that the scientific oilfield term – blowout – could be buried. Blowout was the term used properly to describe the event that killed 11 oil workers on the Macondo well the previous year. In contrast to Elgin, the Macondo blowout [in the Gulf of Mexico] was publicly and objectively scrutinized from day one and all relevant information released to the public domain almost immediately. The aftermath of the Macondo and Elgin blowouts were spectacularly different. But the events themselves were directly comparable. They both involved complete loss of control of a well, from which moment the outcomes were completely out of the hands of BP and Total respectively. The lessons to be learned from one are no more important than those to be learnt from the other. So why, a year and a half after the “incident” and nearly six months since the Elgin went back into production, are we still waiting to hear what really happened to put over two hundred lives in danger? The Health and Safety Executive (HSE) investigation into Elgin was still ongoing two months ago. It was, they said then, their intention to send their report to the Procurator Fiscal (prosecuting authority in Scotland) when finalised. So possibly another lengthy delay before the offshore workers are allerted to what went wrong on Elgin and the lessons can be learnt. Information released by Total so far is very economical with the facts and consistent with their original disinformation. And will the Procurator Fiscal pursue a prosecution against Total? I hope so, but don’t hold your breath. So to recapitulate: Total allowed the G4 to blow out. Blowouts are never inevitable. Blowouts never happen without mistakes being made. This particular event was potentially catastrophic. Nobody knows how the blowout happened and no lessons have been learnt so far. Meanwhile Total, a big player in the gas game, are going to be an even bigger player once they get their deep water West of Shetland fields up and running. They’ve seemingly spent a fortune getting Sullem Voe ready to handle the gas from their deep water fields up there. You don’t have to be an enthusiast of conspiracy theories to imagine that there are deals being done between the government and Total to allow them to develop the Laggan and Tormore fields in that environmentally sensitive area without an almighty fuss about their competency to do so, winding up the environmentalists. The Government are having a big enough job convincing environmentalists, in conjunction with local residents, to allow drilling and fracking for shale gas to go ahead in rural England – though in my opinion that can hardly pose more danger to the environment than letting an unrepentant Total loose West of Shetland. And of course there’s my own axe to grind. How are those of us who work offshore supposed to avoid a repeat of the Elgin blowout, while the full facts of what went wrong initially, and how Total’s attempts to kill the well failed, are witheld from us? I hope you have a successful Reclaim the Power meeting. I would have liked to participate but do not have the energy after returning onshore to make the journey from Scotland. I am however an offshore oil worker of nearly 40 years, all that time spent on the drilling side, and thirty odd years as a mud engineer, so I do have some insight into the industry and might be able to cast some light on issues that you find yourselves confronting. Feel free to get in touch if you think I can help you understand aspects of the drilling industry that are possibly not clear to you. I’d do my best to help. If you do get a chance to speak to the drill crew on the Cuadrilla rig, ask them (specifically the drilling superintendent, the toolpusher and/or the driller), to explain to you the well control plans and procedures and to let you have a look at the blowout preventer. And ask them what they know about the Elgin blowout and what lessons they learned from that near catastrophe. See also Neil Rothnie’s interview about how North Sea oil workers organised. This entry was posted on Thursday, August 15th, 2013 at 2:50 pm and is filed under Energy, Social and labour movements. You can follow any responses to this entry through the RSS 2.0 feed. You can leave a response, or trackback from your own site.